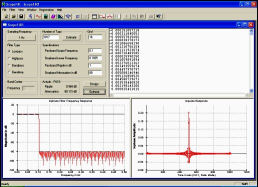 Although Matlab™ has become widely used for DSP system design and simulation, Matlab has two problems: 1) it’s expensive, and 2) it costs a lot. Fortunately, there are alternatives: Free Clones. Whatever else you can say about them, these Free Clones offer two significant advantages: 1) you don’t have to pay for them, and 2) they’re free. The use of matrices as a fundamental data type. Built-in support for complex numbers. Powerful built-in math functions and extensive function libraries. Extensibility in the form of user-defined functions.